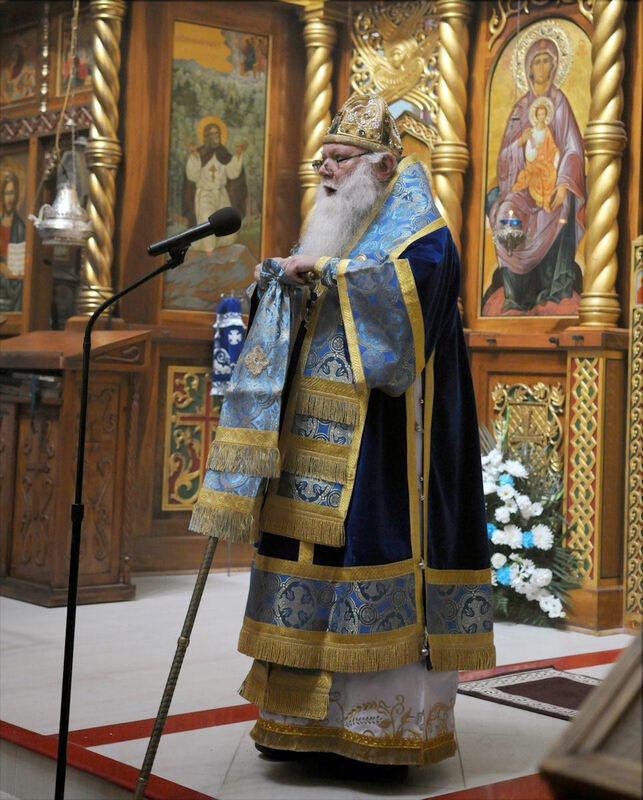 Archbishop Peter gave the sermon at which time he spoke of the great calling and mission of the Russian Orthodox Church Outside of Russia. Later that week he would be reading a lecture in our Diocese about the Centennial of the founding of the Russian Church Abroad (2020) as part of the preparations being made to mark this Jubilee. 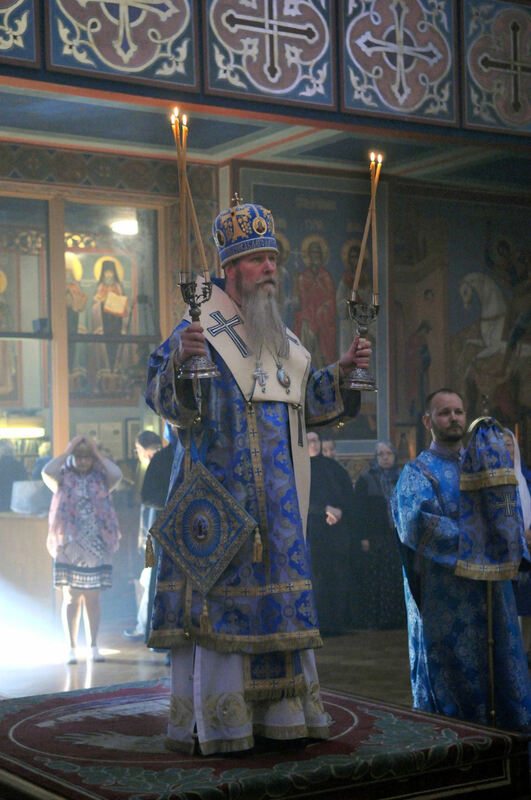 The Synod of Bishops of ROCOR has assigned Vladyka Peter as the chairman of the committee for these preparations. 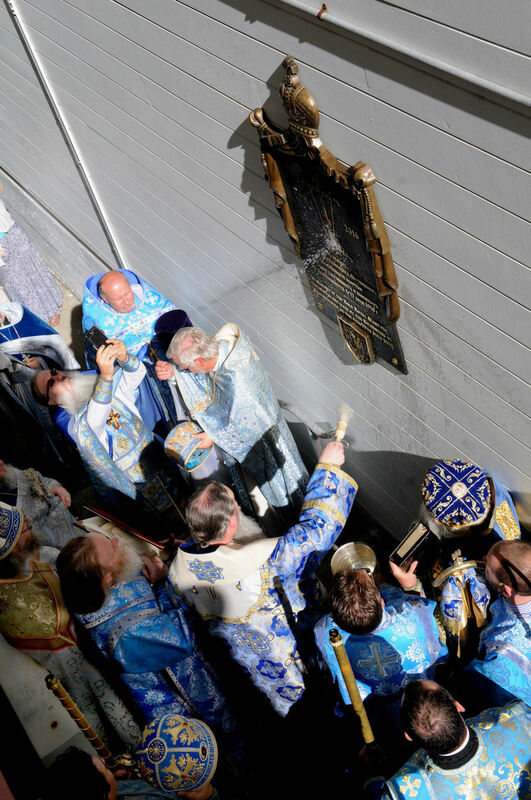 During the cross procession that followed the Divine Liturgy Archbishop Kyrill blessed a memorial plaque in observation of the centennial of the Martyrdom of the last Anointed Orthodox Tsar of Russia, Holy Royal Martyr Nicholas II and His August Family. on the 4/17 of July, 1918. 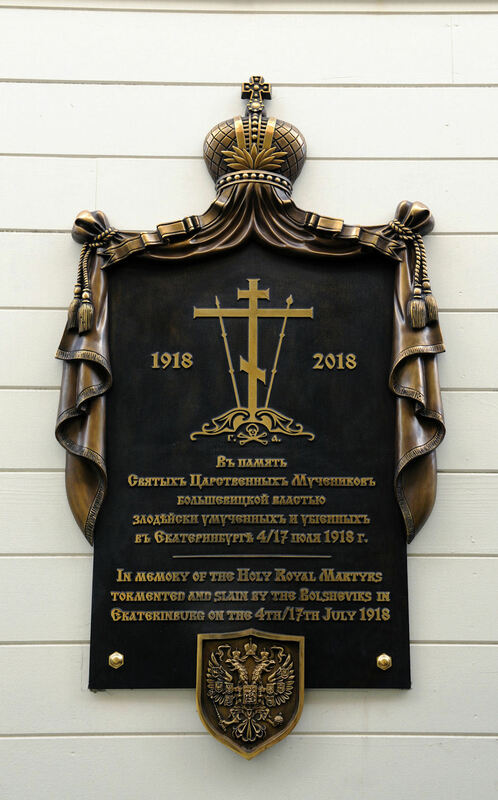 O Creator and Companion of the human race, Giver of spiritual grace and Bestower of salvation: Do Thou, O Lord, through Thy Holy Spirit, send forth Thy great blessing upon this monument, raised up to the memory of Thy Holy Royal Martyrs: the Tsar-martyr Nicholas, Tsaritsa-martyr Alexandra, Tsarevich-martyr Alexei, the Princess-martyrs Olga, Tatiana, Maria and Anastasia, together with their faithful servants, martyred at the hands of the atheists. We pray, O Lord: forgive the sins of Thy people, who did not forestall the murder of their Tsar, Anointed by Thee. Deliver, O Lord, the Russian land from all evil, wrought by our sins and departure from Thee; and raise up anew the throne of Orthodox Kings. 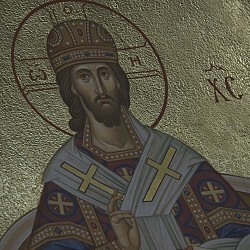 Grant us the forgiveness of sins and establish us in every good deed, that with the deep humility, strength and love that Thy Martyrs revealed, we also might attain the Heavenly Kingdom, where, united with all the Holy New-Martyrs and Confessors of Russia, we may glorify Thee: the Father, the Son and the Holy Spirit, unto the ages of ages.